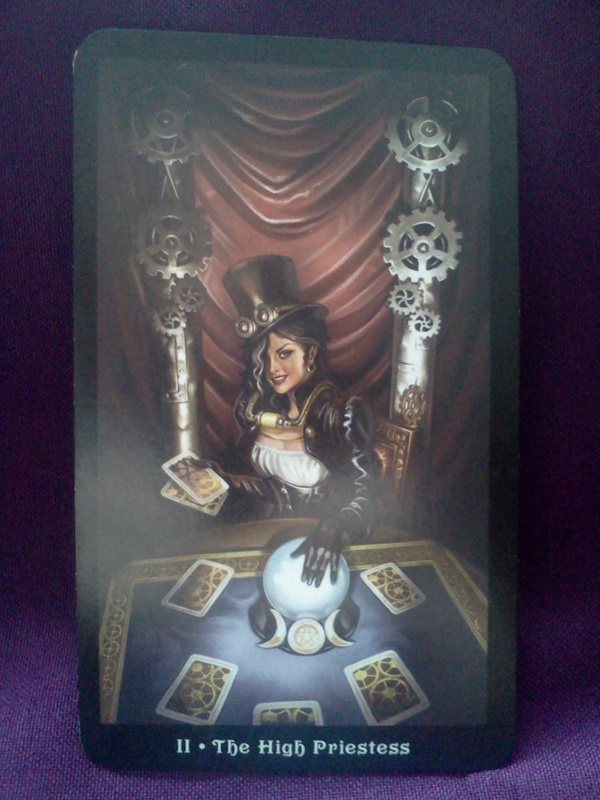 Hello everyone, I have a three card tarot reading for you today, using one of my favorite decks, the Steampunk Tarot by Barbara Moore and Aly Fell. The cards are going to represent Fri, Sat and Sun and will give us an idea of what we can expect this weekend to bring. I’m going to lay all three cards face up because I want to get a general overview of the weekend before looking at the days individually. 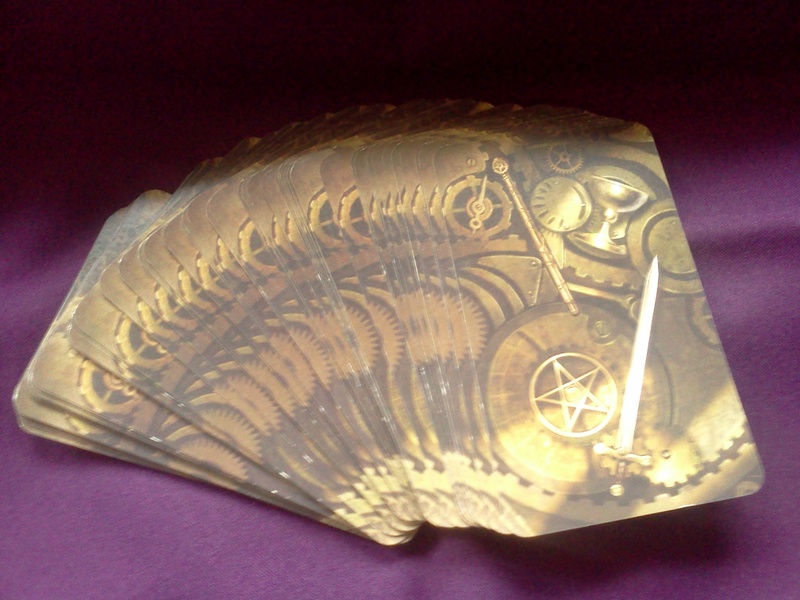 Ok, wow, so these are all Major Arcana cards, which right away is telling me that the next couple of days are going to be dealing with larger life issues and themes. Events and decisions are going to be more far reaching and more deeply impactful than usual. 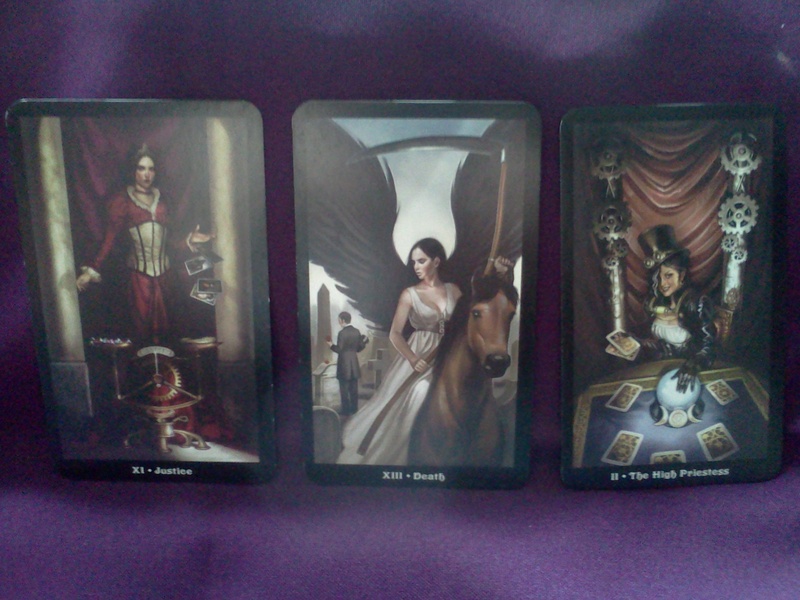 I also get a very strong transformative energy from these three cards together. The first card, the card for Friday, is Justice. Justice is about a just and fair assessment and in this case she seems to be telling us that the time has come to look at that situation or issue that is most troubling in our lives and to be brutally honest with ourselves as to how it is impacting us and what we can do to remedy it. Justice asks you to be objective in this process, she is not heartless, but the emotional is not her realm. 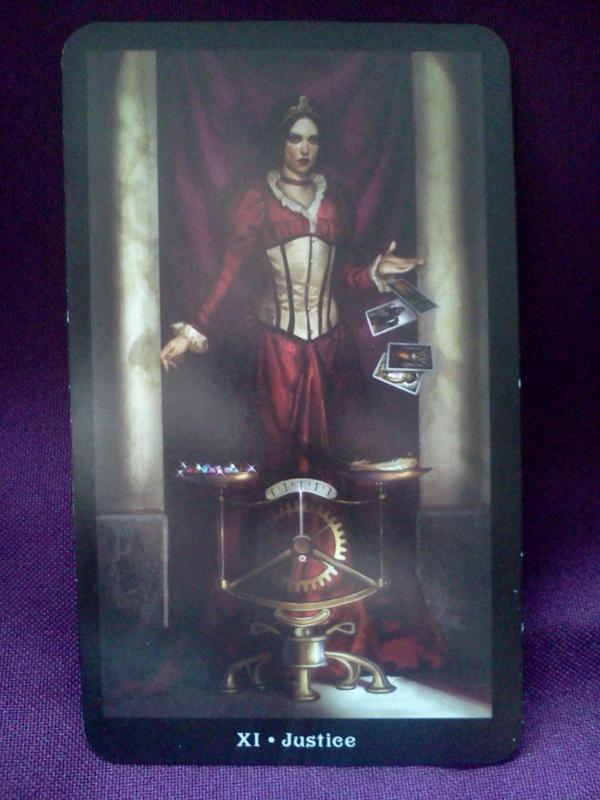 Another message that I got from this card was to treat others fairly and to be fair and just in your dealings with others. 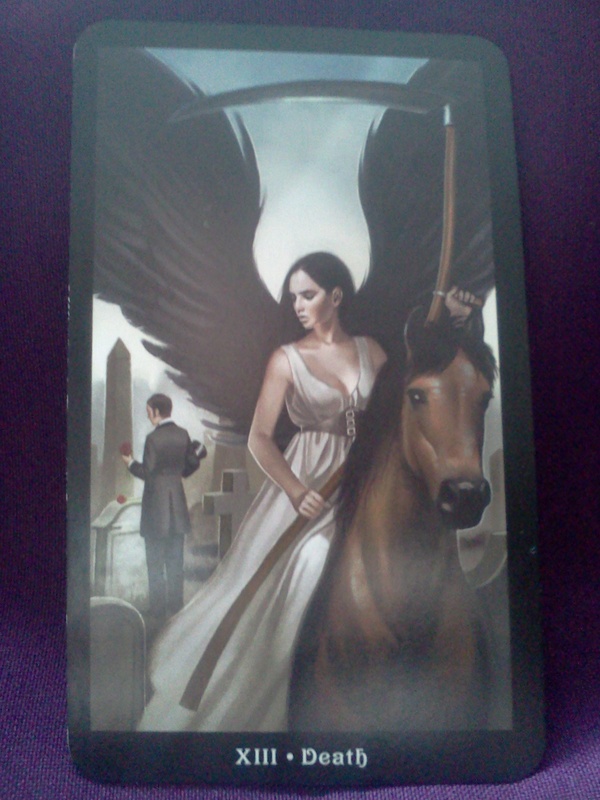 Saturday’s card is Death (Disclaimer alert!! Death rarely, RARELY predicts actual, physical death.) Death is a card of transformation, of leaving things behind, letting things go and achieving a new beginning as a result. We saw Justice as our first card and she told us to objectively asses our lives, in the Death card it seems like the result of that assessment will be to let something go. This could be something in the past that is essentially “dead” already, but still holds power over you, such as past trauma’s, hurts or betrayals. This may be the time when you need to commit to moving forward and to no longer be defined by those things. You may have to let go of that pain several times before it finally returns to your past where it belong, but the work and the effort it takes is worth it. 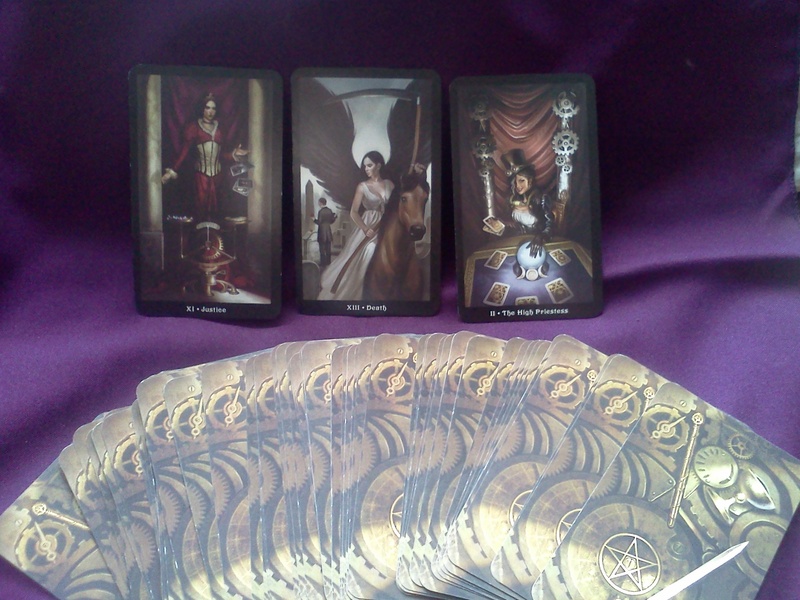 Totally love this deck and this reading. Getting those three cards together would totally freak me out (just a LOT of major stuff happening there). Especially loved how you interpreted Justice and Death working together.